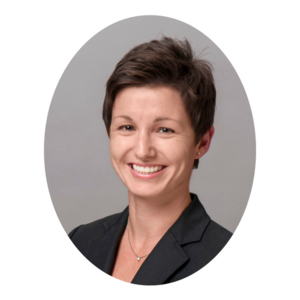 Dr. Kami Anderson is an interculturalist, scholar, and language advocate. An HBCU alumna herself, Kami partners with HBCUs to help more students of color develop a global mindset. In addition, as Founder and CEO of Bilingual Brown Babies, she’s created an online program that meets Black families where they are in their journey to bilingualism. Kami holds a Bachelor’s degree in Spanish from Spelman College, a Master’s degree in International Affairs/Interdisciplinary Studies in International Communication and Anthropology from American University, and a Ph.D. in Communication and Culture from Howard University. She’s also a super-mom, raising four bilingual kids. Tara: What does having a “global mindset” mean to you? Kami: For me, having a global mindset means you intentionally see your position within the entire world, not just your little corner. You are acutely aware of how your movements impact the rest of world and do your best to make sure that impact is positive and long-lasting. An example would be the civil engineering major who isn’t just thinking about how to build the best bridge, but also taking into consideration how to transfer that knowledge on a global scale by considering materials available to specific countries, or even how the design itself may need to be altered to address cultural differences. Tara: Tell me more about the work you’ve been doing with HBCUs to better equip students of color with a global mindset and what you’ve learned in the process. Kami: I’ve been working with HBCUs to equip faculty to teach a global mindset. Across the nation, we realize the importance of globalization, but many colleges and universities see it as a daunting task and are not sure where to start. Resources play a huge part of how we see this task. Also, unfortunately many times students of color aren’t always central in the discourse of globalization; we aren’t effectively preparing them to take on the world. As an HBCU alumna two times over, I know firsthand what we can do and what we perceive as not a top priority. This perception is really a matter of lack of human capital available. I am that human capital for the HBCUs that need it. What I have seen is that faculty, students, and administration are looking for someone who understands the inner workings of the HBCU (climate, student body, etc.) extremely well, especially when it comes to educating students of color and showing them how to infuse globalization into their missions and programming. Tara: What advice or suggestions do you have for other educators—faculty and staff—about what we can do to better equip students of color with a global mindset? Kami: One thing that emerges in most of my workshops is how important it is to pay attention to how our levels of comfort with globalization and our own cultural competence can impact how effective we are with modeling a global mindset. This level of awareness translates into how we lecture about global topics, the materials we select for course readings, and the amount of attention we give it in our respective disciplines. We need to understand our position and opinions in regards to globalization and how that may enter our classrooms. Once we have that understanding, we can better serve our students with what they need. Tara: I know you studied abroad and credit that experience with influencing your career path, and as a result you’re a strong advocate for increasing the number of students of color who take advantage of education abroad opportunities. First of all, what do you see as some of the unique opportunities for students of color with regards to study abroad? Kami: This is a frank response, but I think it is important to state for people who work in study abroad. Many times, to “sell” study abroad, we forget to address concerns that come up for students of color, namely marginalization, discrimination, prejudice, and racism. We need to do a better job of helping our students deal with these instances abroad. When they occur, thousands of miles from home, it is an immediate panic zone for them. It’s not always a matter of handling it how they would at home, especially if language is a factor. A lot of times these instances are so subtle, even faculty may miss it. See my next response for an example. Tara: What are some of the unique challenges students of color might face around study abroad? Kami: I have experienced discrimination and prejudice while traveling alone. My first instance happened while studying abroad. I can attribute how I was raised to why it didn’t bother me (as much), but there were other students on that trip with me who didn’t share that story. Those who experienced prejudice from their host families, random strangers on the street, or other students at our school, were often completely turned off of study abroad. Many students who reach out to me regarding study abroad have worries and concerns around racism and prejudice in mind. Sometimes it’s the deciding factor as to whether or not they participate in study abroad. Sharing my own stories has really helped them to see beyond that fear. It has also empowered them. Tara: What are your thoughts or advice about what can be done to ensure study abroad programs are designed and facilitated in a way that best helps students of color make the most of the learning experience? Kami: It sounds simple but it means so much: center them. Allow them to be able to see their identity as a student of color in the programming. Help them to see how this experience will enhance their Blackness, Latinidad, Asian identity and yes, their gender or non-binary identities as well. Tara: How might educators best help students of color prepare for the experience of studying abroad? Do you have any advice about how we might invite them to reflect on their own identity and also prepare for the potential experience in a given host country in an exploratory, rather than prescriptive, way? Kami: If you can’t be an example that will allow them to see themselves in your study abroad experiences, find someone who can and have them share their stories. Have them host town halls to field all the questions that may come up with students. Have them available for return debriefings. One of the biggest concerns I hear from students of color is that it still doesn’t “feel like” study abroad is for them. One student told me just recently, “I don’t know enough people who look like me going and coming back with awesome stories. I hear a lot of horror stories though.” This is the narrative that needs to change. But it can’t happen from a position outside and be effective. I don’t see this as prescriptive. I do see it as another way of modeling how to move through the world. Tara: I know you’re also really passionate about getting more young people of color to learn second languages. Why do you feel this is particularly important and how do we do it? Kami: I firmly believe that if you’re going to globalize, language learning must be a part of that decision. I think we are doing students a disservice by telling them to think globally but not also telling them to become fluent in another language. Our current course requirements don’t support our students having more than basic exposure to languages. I think many of the methods used to show the importance of STEM beginning in middle schools could be employed for languages. But there needs to be a commitment to it with those in places of decision-making. As a nation, we don’t prioritize languages as we should. That desperately needs to change. Tara: What does success look like to you when it comes to this work? Kami: Success to me would be a significant increase in Black bilinguals and more HBCUs requiring study abroad experiences for graduation. I know presently, my alma mater, Spelman College, has a robust study abroad and internationalization program. I would love to see that for all of the HBCUs! This may seem like a lofty goal, but I do think that it can happen. There will need to be a paradigm shift, and I’m clear about that. Globalization is constantly evolving in scope, so programming to prepare our students will need to do the same. How we evaluate programs, as well as how we assess students and faculty, will all need to evolve as the demands in the global workforce change. I’d love to hear from you! 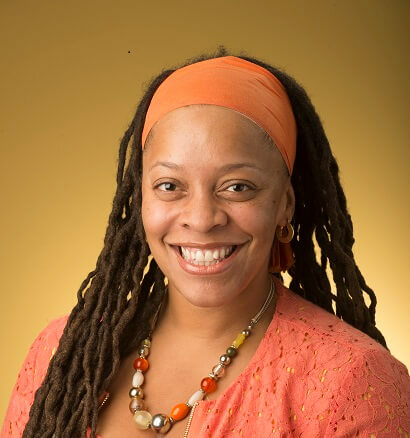 What is your school or organization currently doing—or what ideas has this interview with Kami spurred—to better equip students of color with a global mindset? Share your thoughts in the comments section below.